"Like triple cream– rich, pungent, a little barnyardy, and spreads easily. A good cheese." Why Don’t You Just Ask? Out of town, or at the office, consumers can check their mailbox. The USPS may be experiencing the continuing shrinkage in mail volumes, especially after the election season spike of 2016. But despite the trend to digital, the folks at L’Enfant Plaza, DC 20590 have come up with a winning service, “Informed Delivery”. Householders and businesses can receive emails daily reporting what letters have been mailed to them. You may have thought that Facebook or Instagram are the leading purveyors of new photography– the daily delivery of selfies, restaurant plates, goofy pets and family outings. In fact, it’s the USPS. It takes approximately 411,000,000 new pictures every day. 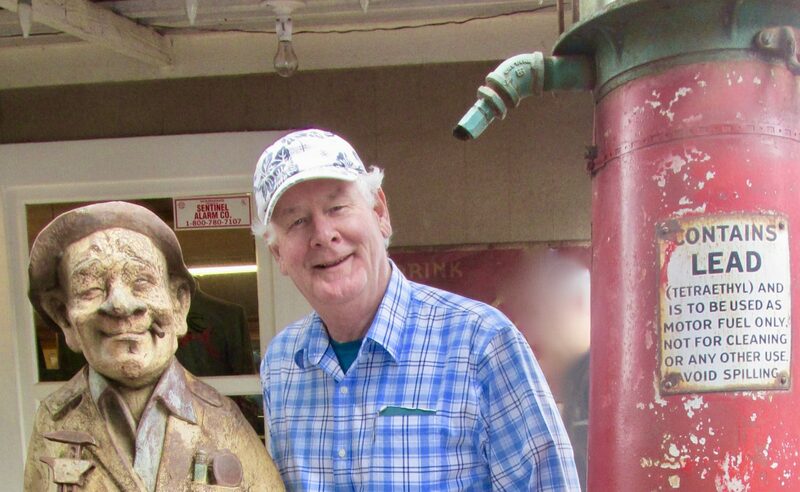 The images are emailed, and also displayed on the user’s web portal. The automated sorting process for letters relies on instantaneous scanning of a bar code, or a ZIP code. 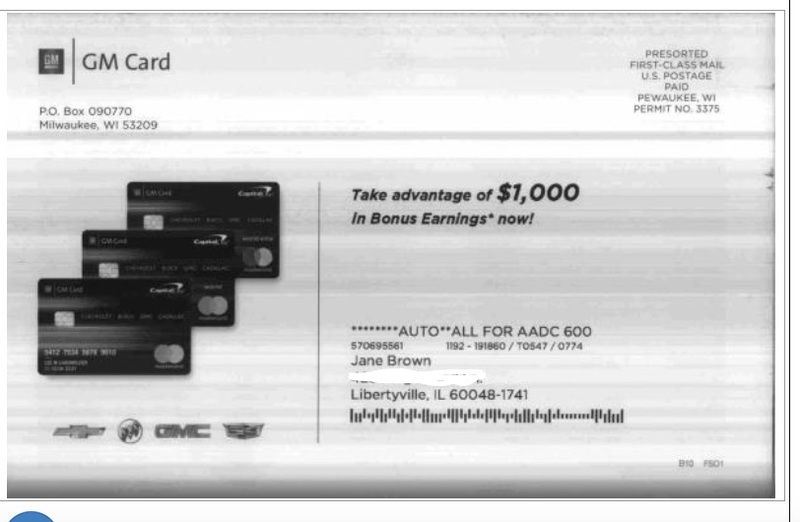 In 2016, Americans dropped 150 billion pieces into the USPS mail stream, and the sortation machinery looked at every one of those pieces and took a quick picture of the bar code or ZIP. Until recently, those images were probably trashed a nano-second later. But then someone, a marketer, an engineer, a postal clerk, thought, “Hey, we took a picture, let’s post it!” Pardon the pun. Automation machinery scans the incoming letter-sized mail. Thus, the invention of Informed Delivery. Every day, we at our household, receive an email from the USPS advising us of letter-sized mail making its way to us. The email includes an individual JPG of each piece, in black and white. Now, you may feel that this is a weak attempt, a grasping at straws by a struggling old school business attempting to fight the digital tides. To me, it is enlightened genius. In a move that is worthy of a jiu jitsu artist’s praise, the USPS is using the power of digital to elevate its analog medium. Every day a USPS email sends a photo album of coming mail. For people at home, Informed Delivery may eliminate the excitement and anticipation of walking to the mailbox. ‘Kind of like peeking at your Christmas presents under the tree a few days before the event. Still, the service lets you know that a letter, check or invoice you are waiting for is definitely on the way. It also allows you to look at your mailbox, or mail-on-hold while you are out of town. ‘Kind of like scanning your voice mail–and you know you do that. Direct marketers will love Informed Delivery. 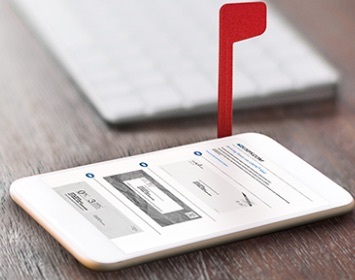 Rather than waiting for the physical replies to show up from their latest mailing, they can see the reply envelopes as soon as the consumer drops it back in the mail. 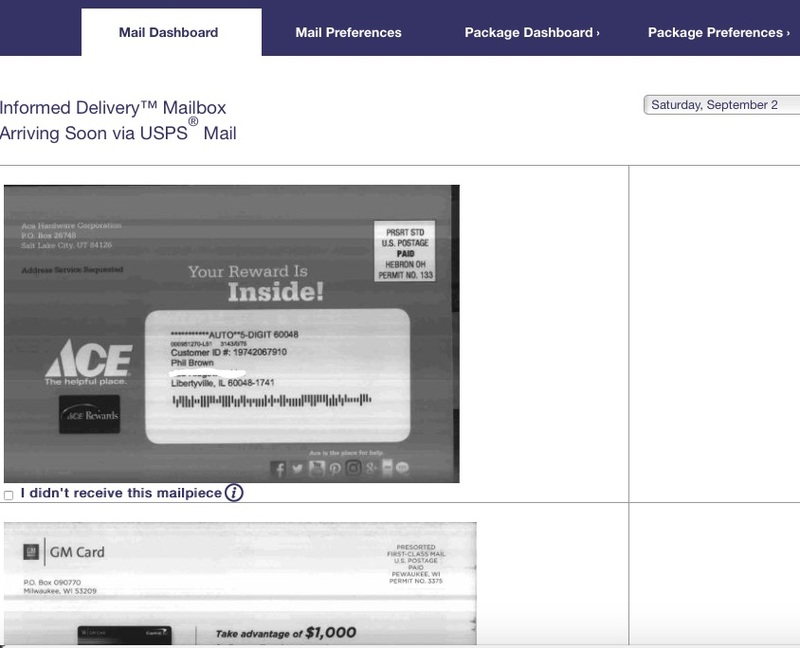 Admittedly, marketers can get digital reports now of bar coded reply mail, but Informed Delivery shows which replies, as there may be many outgoing mailings occurring simultaneously. 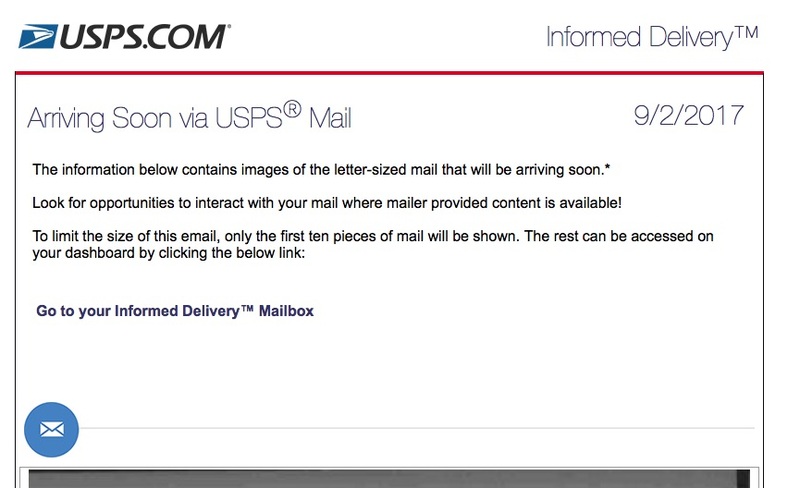 The USPS harnesses a digital app…who knew?? Every marketer considers the orchestration of messaging. We want to integrate email, social media and direct mail to complement a retail sales event. Informed Delivery alerts consumers by email of a coming promotion. The front of the envelope is the ideal canvas for the first tease of the event. It should be pointed out, that if I have a dashboard of my incoming mail, so does the USPS. While you may worry that the USPS knows what I get by mail, I don’t. But if postal reform ever does get passed, the USPS may be able to offer user privileges to recipients based on the volumes of mail received. After all, if you do receive a lot of mail, you are a likely advocate of mail delivery, and to the USPS, that’s a high-five. Kudos to the USPS on this latest innovation. My bet is that as it takes hold, it will be leveraged, much to the benefit of one of America’s oldest and revered institutions. Thanks for reading and sharing! If you want to see the Informed Delivery package, click on this!